Find out how our travel insurance can cover your holiday to New Zealand. When you’re ready, get a quote online or talk to our friendly team today. 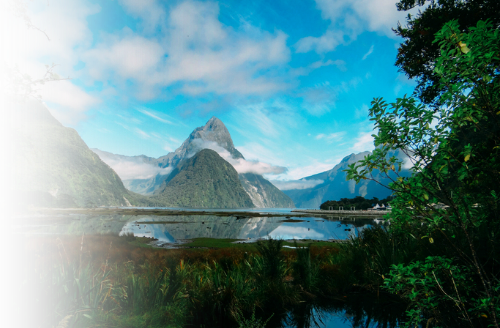 New Zealand is a dream destination for international travellers. But before you lose yourself in the wonders of New Zealand, it’s best to have proper travel insurance in place. Buying a tailored policy means you are properly protected for your medical and travel needs, from medical emergencies to loss of property. The result? You can travel with the reassurance that if something goes wrong when you’re away, you’ve got the UK’s Most Trusted Travel Insurance Provider* on hand to help get things settled. You can get your tailored quote for New Zealand online here, or talk to us now on 0800 033 4902. 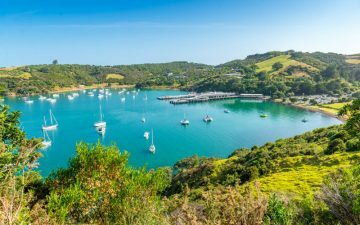 Why do I need travel insurance for New Zealand? However idyllic your holiday destination, there is always the chance of things not going entirely to plan. You might be surprised to know that 1 in 20 people needed to make claims on their Annual Travel Insurance in 2017**. So, problems happen when you’re on holiday more often than you might have realised. New Zealand is a long way from home, so it’s best to travel with the right cover. Just in case the worst happens. Proper insurance covers not just medical emergencies but delays, cancellations, and damage to or loss of property, passports and money. The Foreign and Commonwealth Office (FCO) recommends you buy medical travel insurance to cover the costs of any treatment abroad. It’s always better to be safe than sorry. You can get your tailored quote for travel insurance for New Zealand online here, or pick up the phone and talk to us now on 0800 033 4902. What does our travel insurance to New Zealand cover? Although free healthcare for travellers isn’t available in New Zealand, there is a reciprocal health agreement with the UK. This means that if a medical practitioner believes you to need treatment, you’ll get it at a reduced cost when a valid UK passport is shown. However, the Foreign and Commonwealth Office (FCO) recommends that visitors still buy medical travel insurance to cover the cost of any treatment abroad. You should also bear in mind that some areas of New Zealand have limited medical facilities, including the Cook Islands and the Niue and Tokelau islands. If medical treatment is required, transport to the mainland may be required, which without proper travel insurance, could be a strain to your wallet. If you’ve got a pre-existing medical condition, we’ll ask you to complete our medical screening process. The screening helps us to tailor your policy to meet your needs. The screening can be done online or over the phone with one of our friendly agents. Whichever way suits you. The medical screening process is a few straight-forward, multiple choice questions about your how your medical condition(s) affect you. It’s vital that the answers you give us are as full and accurate as possible. If you have a medical condition and it hasn’t been declared on your policy, you won’t be covered in the event of a claim. Have you been prescribed medication for this condition? To help you during the process, it might help you to have any details of your medical history ready to consult. We always do our best to help you find the travel insurance that meets your needs and that you’re happy with. I’ve just had some medical tests done. Should I wait until I have the results before getting a quote? It’s best that you wait until you have had your results before getting your quote from us, because any changes to your medical circumstances can influence pricing and our ability to cover you. We want to make sure that your cover really is sufficient to your personal needs and risks. I’ve already bought my policy and now I want to add a special activity to my trip. Can I still be covered? We cover a huge range of sporting and other activities which can be added on to a policy you’ve already bought. Just let us know, so we can make the necessary adjustment to your policy for an additional premium. As long as we can cover the activity (dependent on your medical conditions, for example), an activity can be added on to a policy at a premium rate. Please note that although we can increase your policy coverage, we can’t reduce coverage in return for a partial refund. So do check that you’re happy with the level of cover when you first book with us. Get a quote in minutes and tailor your quote for you and your family’s medical and travel needs.